Speeding ticket, CDL and defense of all other traffic citations. 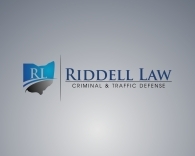 If you have been cited with any of the above traffic violations or have any other Ohio traffic-related legal questions, call our Cincinnati traffic attorneys directly at 513-655-7240. Because we know traffic charges often happen outside 9:00-5:00 working hours, our attorneys are on call after hours, on evenings, weekends, and holidays to discuss your case.